Enjoy the serenity of the view as you get hooked on the thrill of going after a good catch. 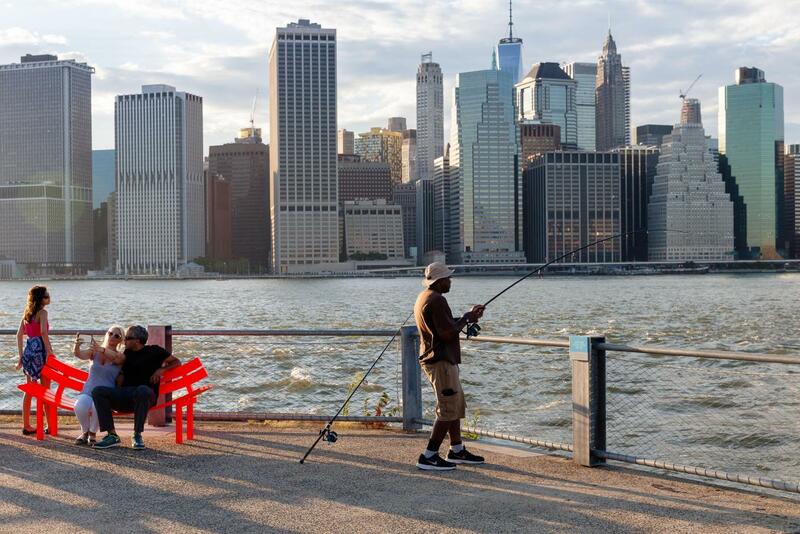 Cast out from the west promenade of Pier 5, where you’ll also find bait preparation tables and fish cleaning stations to help you “tackle” every fishing need. Keep in mind that pregnant women, women of childbearing age and children under 15 years old should not eat fish caught in these waters. 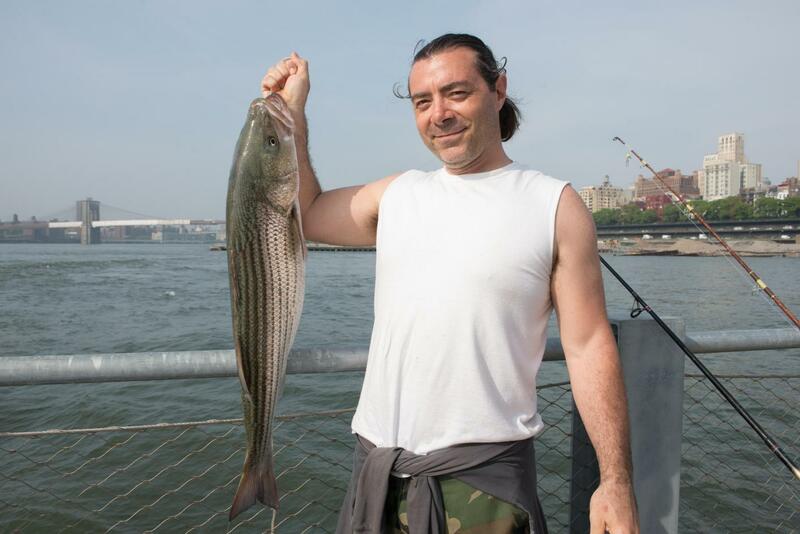 Others should also limit their consumption, as some fish caught in New York City waters may be harmful to eat. 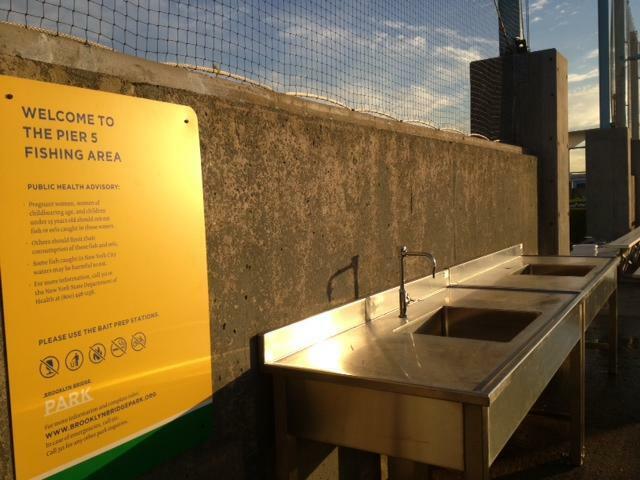 For updates on water quality, consult NYC Department of Environmental Protection’s Waterbody Advisory webpage here. 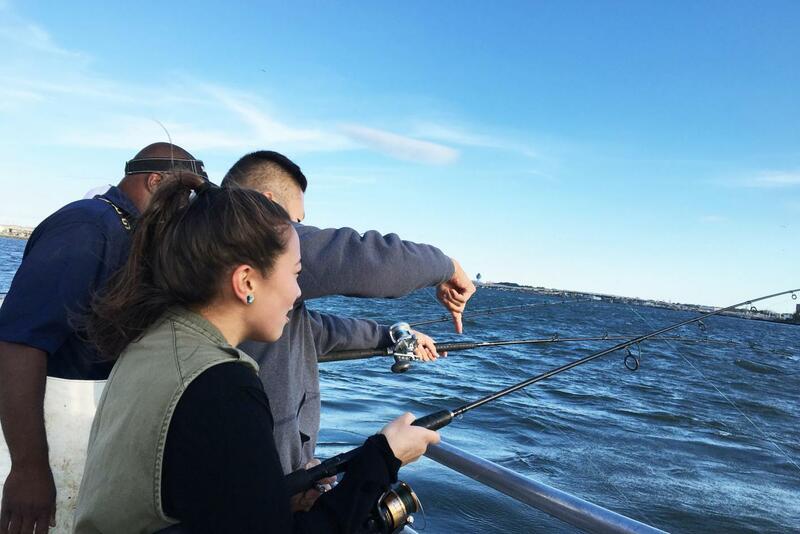 For more information on safe fishing, please see the New York State Department of Health website. Learn how to tie knots, bait a hook, cast a rod, and maybe even reel up a fish! 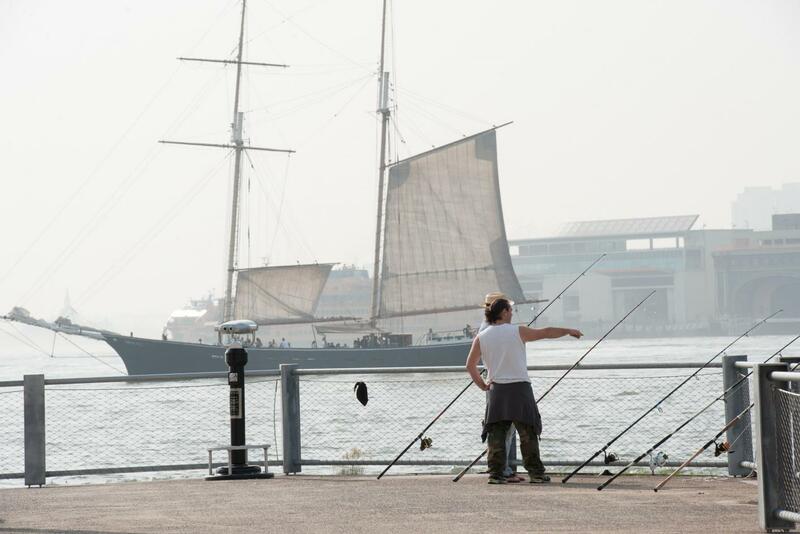 Guided by a marine biologist and expert anglers, learn the basics of line fishing, while catching-and-releasing some of Brooklyn Bridge Park’s aquatic organisms. Multiple dates and times, May through September. Learn More.